Changing shopping behaviours mean retailers are having to change how they engage with customers. As online mixes with the high street, shoppers are now browsing numerous channels, and they expect a consistent brand experience throughout that path to purchase. Simon Walker, director of innovation at Stibo Systems, says the supply chain needs to run effectively and be synced across customer touch points in order to provide this seamless journey. “New data-led technologies mean that retailers can deal with more product and purchase information, faster and across more channels, allowing them to better cope with these changes in shopper behavior,” says Walker. Walker notes that the efficiencies that the barcode has created in the supply chain have enabled 21% shorter lead times for warehouse operators, 42% lower costs for distribution centres and 32% fewer out-of-stocks for retailers, ultimately saving the UK retail industry £10.5 billion every year. “However, now 60% of new members to GS1 - the not-for-profit organisation that monitors demand chain standards - are online retailers so the organisation is adapting the design and function of its barcode to meet the new product information demands of ecommerce,” he says. “Today’s retailers can manage product data focusing on stock, location and supplier data, as well as digital and marketing assets. Managing such a huge amount of information means that sophisticated systems are needed to ensure the end-to-end supply chain keep running efficiently. Walker highlights the fact that new innovations are addressing this, including new notions of the barcode that could inform retailers about package variation to expiry dates and the Internet of Things. By allowing manufacturers and suppliers to provide detailed product information to retailers, along with additional supporting content, the use of an MDM platform will see a reduction in time and cost across the supply chain, as well as an increase in the accuracy and timeliness of the information, according to Walker. “Forty years after the barcode launched, innovation in the retail sector continues,” concluded Walker. 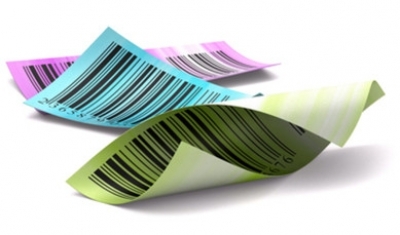 “Industry leaders have discussed how different forms of barcodes are needed to represent new requirements by retailers for product information in the Internet of Things. However, whilst retailers are waiting for these developments, it’s imperative they ensure that their product information provides them with the insights they need to operate successfully in the multi-channel retail environment.